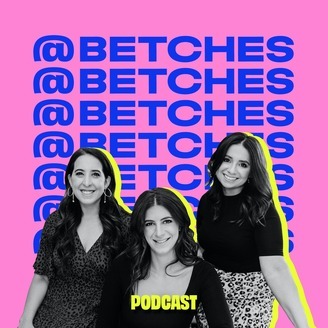 Betches Media presents Betch Slapped – a hilarious weekly podcast hosted by the three founders and comedic authors behind NY Times best-selling books “Nice is Just a Place in France” and “I Had a Nice Time & Other Lies”. 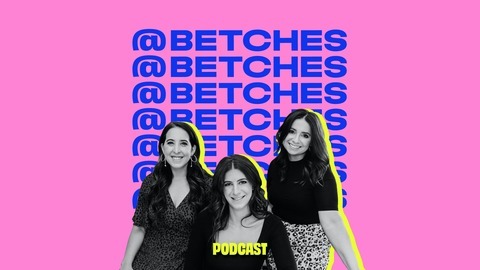 Tune in as the Betches’ exploit celebrity gossip, update you on the latest TV shows, give advice about love, friendship and careers, and share the latest news you should probably give a sh*t about. Keep up with your favorite Betches online at www.Betches.com or on Instagram @betches. #134 How Do I Tell My Mom To Stop Inviting Her Friends To My Wedding? Aleen, Sami and Jordana are all back and they start off talking about the Game of Thrones season premiere. Is this show just setting us up for a huge letdown? At 7:25 they transition to a conversation about the latest RHONY episode, including Sonja’s epic meltdown. At 19:30 they debate whether or not Kim Kardashian actually plans to become a lawyer. Is she insulting the legal profession? They also talk about Coachella, Ariana Grande performing with NSYNC, and everyone in attendance posting the same photo. At 31:50 a listener writes in to ask how to deal with family members who refuse to go along with her wedding plans. Finally, they finish the show with a game of Coachella-themed “Would You Rather” and their Betch Slap of the week. #133 Are Millennials Actually Sick of Drinking? #132 Should I Tell My Friend She’s About to Get Dumped? #131 Are Celebrities F*cking Up Their Photoshop On Purpose? #130 Hey Kourtney, What’s a Poosh?